I am writing this as an update to my blog post on June 9 entitled “Will the Mortgage Forgiveness Debt Relief Act be extended yet again?” If you recall I had mentioned in that article that there was at the time a sort of stalemate in the Senate and although the act was on the agenda no action had as yet been taken by the Senate to decide whether the act would be reenacted. 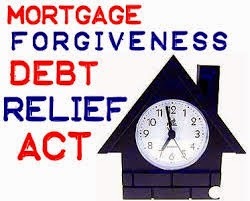 Now it seems that the stalemate has finally ended and once again the Senate is debating whether to reenact a bill that will include the Mortgage Forgiveness Debt Relief Act as a part of several tax “breaks” being considered under a single bill. Whether you agree or disagree with this particular legislation it is clear that if passed it will have a big effect on the number of short sales that will be pursued by underwater homeowners. Since the act expired December 31st of last year the market has seen a marked decline in the amount of short sales that were being processed before the expiration debate. The question here is if the bill is reenacted again will we see a dramatic increase of the number of short sales as compared to now? Most experts agree that relieving homeowners of the additional tax burden will indeed precipitate a rise in short sales throughout the entire country. Only time will tell but however it ends up at least now the debate in the Senate has begun and hopefully the decision to reenact or not reenact the bill will be resolved shortly. If the bill is passed it will be valid until 2015. Labels: CDPE, distressed home, loan modifications, owe more on my home than it’s worth, short sale agent, Short sale negotiator, short sale realtor, short sell, upside down, Valorie Ford, Valorie Ford & Co.